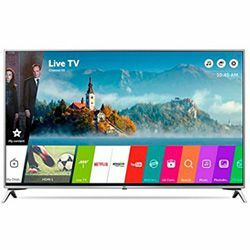 LG 43UK6300 is a budget TV of the UK6300 that is available from 2018. 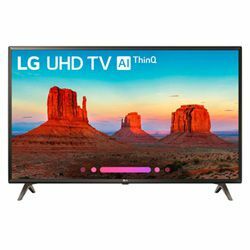 The list of LG 43UK6300 specs should be started with its high-quality IPS panel that provides the long operational life for a very affordable price. The Direct LED illumination guarantees the high level of contrast and brightness and even backlightning. A wide viewing angle gives the accurate picture without distortions when you watch TV from the side. In this LG 43UK6300 review, I’d like to share the advantages of Bluetooth in this model. It allows connecting various devices without any wires quickly and conveniently. The TV also has Bluetooth Low Energy tech that helps saving energy. It is a Smart TV, so the control via the smartphone is possible. It also supports Magic Remote, though it is bought and paid for separately. The integration with Amazon Prime video delivers a stunning streaming appearance. 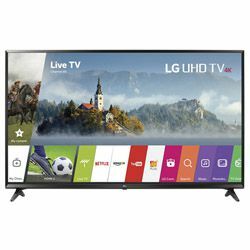 The TV with the standard HDMI cable from the common 1080p Blu-ray player upscales to 4K that gives the picture of the highest clarity, brightness, and sharpness. There is no RCA or headphone connection in this model. 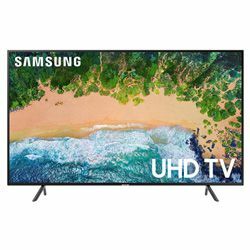 The screen is dark at the edges if to use the TV as a 4K monitor.